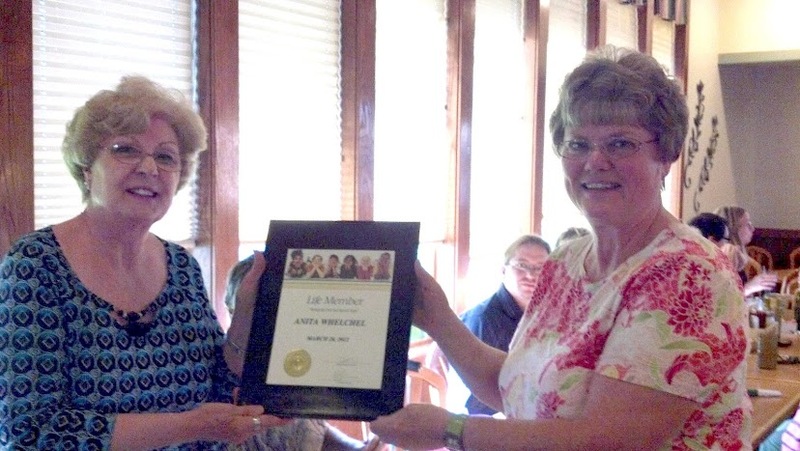 Anita Whelchel was honored by the Caldwell Optimist Club with an Optimist International Life Member Award. "It is a Club tradition to do so," said President Connie Holt, "for our outstanding presidents who achieve Honor Club during their term. We are very proud of Anita and appreciate all that she and the Caldwell Optimist Club were able to accomplish." The requirements for Optimist Club have varied slightly over the past few years, but for 2010-2011 the club had to increase membership by 20% over their October 1 roster, perform three service projects, and complete all reports and meet all financial obligations on time. For the Caldwell Optimist Club, that meant they had to add at least 9 new members last year. The club added 10. This year, and by policy for the next five years, the requirements for Honor Club are to increase membership by at least 1 member more than is deleted over the year, complete at least 3 service projects, recognize an outstanding club member or individual in the community, and fulfill all financial and reporting obligations. It's an honor for your Optimist Club to be recognized as an Honor Club. While many leaders proclaim they aren't doing it for awards, others hardly recognize that their name on a banner is an award. They see Honor Club as the minimum standard one should strive for to keep their club active and vital in the years to come. That is why it is an honor, and honorable, for your Optimist Club to be recognized as an Honor Club. 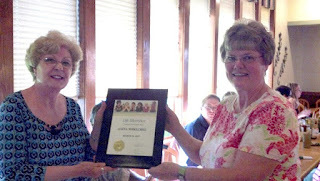 Anita is enthusiastically continuing to serve both the Caldwell Optimist Club and the PNW District this year. She remains very active with membership and fundraising for the club and is the lieutenant governor for Zone 7.